UncategorizedCan Your Thoughts Affect the Physical World? Some of you may be aware already of the work of Dr Masaru Emoto. If not, in essence, Emoto’s most famous water crystal experiments consist of exposing water in glasses to different words, pictures or music, and then freezing and examining the aesthetics of the resulting crystals with microscopic photography. 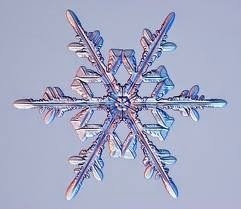 Emoto claims that different water sources produce different crystalline structures when frozen. For example, he claims that a water sample from a mountain stream when frozen will show structures of beautifully-shaped geometric design, but those structures will be distorted and randomly formed if the sample is taken from a polluted water source. This video show’s the results for different exposures. The rice experiment is another famous demonstration by Dr Emoto of the power of both positive and negative thinking. 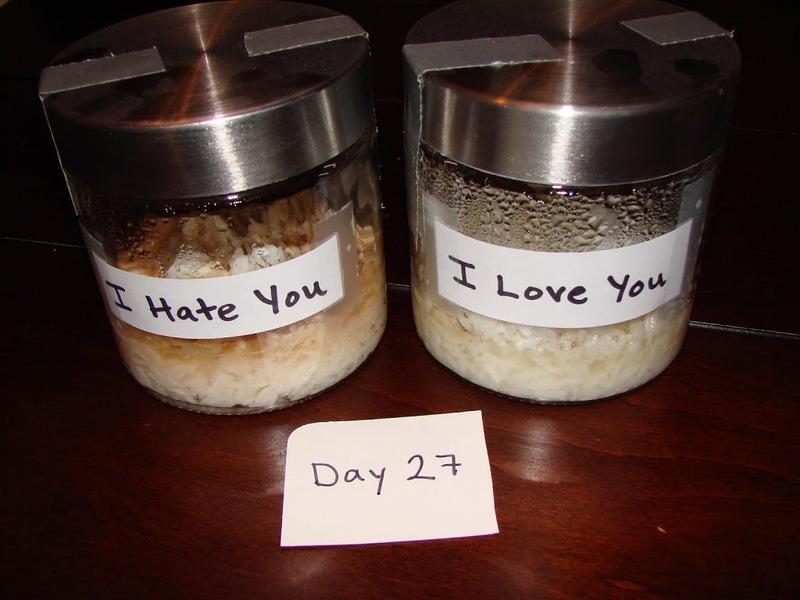 Dr Emoto placed portions of cooked rice into two containers. On one container he wrote “I love you” and on the other “I hate you” (the experiment has been repeated with many other combinations of positive and negative thoughts.. He then asked school children to say the labels on the jars out loud everyday when they walked past. After 4 weeks, the rice in the container with positive thoughts had barely changed, while the other was mouldy and rotten. 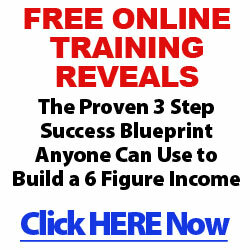 Plenty of people claim to have done this experiment themselves with positive results. Finding evidence to contradict it is a bit more difficult (as you will see if you have a quick look on Google). It is not my intention here to comment on the scientific integrity of Dr Emoto’s experiments – I am aware that there is much controversy and I am not qualified to add anything to that debate. Most people acknowledge that positive thoughts can have a positive impact on the world, and the overwhelming majority of truly successful people are really positive nearly all of the time. This entry was posted in Uncategorized. Tagged Positive Thought.